This is Steve McQueen’s fourth feature film and first push into mainstream films, with a quick moving, at times nail biting movie, based on Liverpool’s Lynda La Plante 80s series ‘Widows’. McQueen has teamed up with Gone Girl author Gillian Flynn, who gives a female touch to the script. Widows is based around the lives of three women whose husbands are killed whilst escaping from a robbery. If that isn’t bad enough they then discover that their lives and lifestyles are in danger, if they don’t pay back the loot their husbands lost in the robbery. This forces the women to fall back on their tough reserves and organize a heist, to pay back the debt and to free them from the threat of destitution. The film is not unlike other heist films but not like other McQueen films. Though he doesn’t hold back on his portrayal of corrupt American politicians out for themselves and prepared to use any means necessary to protect their own self-interests. 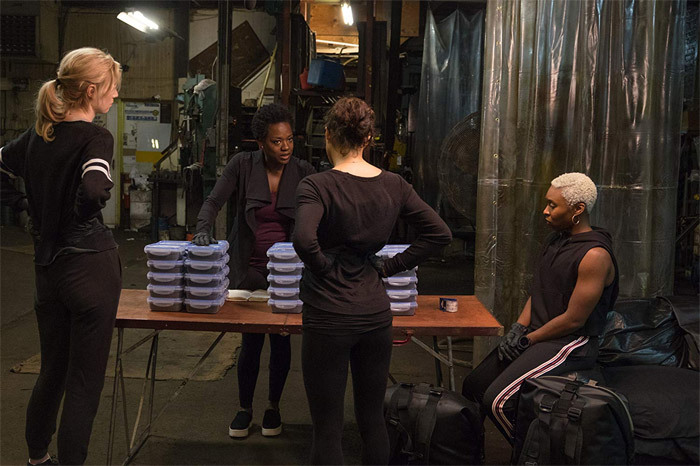 Widows is over two hours long, but manages to maintain attention throughout. and in some scenes has you on the edge of your seat. The film is enjoyable, and as intended, you find yourself gunning for the women. I was hoping to see McQueen at his most gritty, tackling controversial issues. Instead I got an action film, and a good one at that. But am not really sure why he had to include famous actors like Liam Neeson, Robert Duvall and Colin Farrell, who I felt added little to the script.